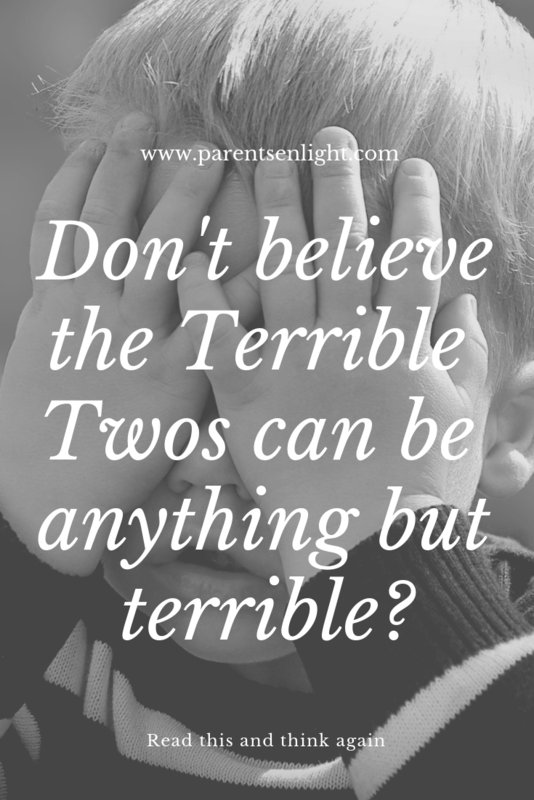 The Terrible Twos are coined “Terrible Twos” because it’s a challenging, hard period. Both on us, parents, and on our little ones. But it really doesn’t have to be this way. Read on. If you’ve been following me for a while now, you know how much I believe in the power of knowledge; and in the power of connection. If you haven’t – well, now you know. Knowledge allows us to set realistic expectations that have everything to do with our experience (no exaggerations, no disappointments, right?) while connection allows us to make life, upon all periods, truly beautiful. 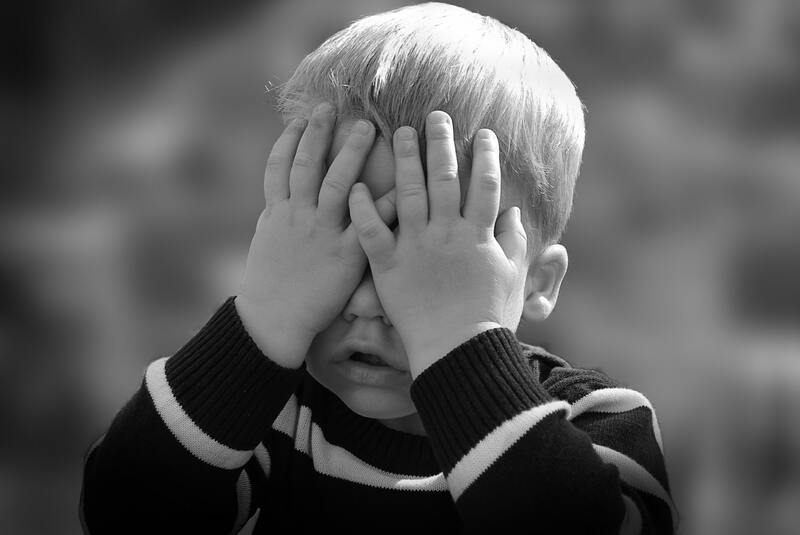 In this article you will learn what you need to know about the developmental forces behind the Terrible Twos, and how a secure attachment with your little one can make this period into the Beautiful Twos. Let’s start! There’s never enough I could say about this existential human need. You can follow this link for a detailed account on autonomy, but here’s just a bit about it: Feeling autonomous means feeling that we are in control of our lives, it means that our voices are heard and taken into account, it means our desires matter. It means that we are seen – for everything that we are, for whatever feeling that lives within us that very moment. It is a major component in human well-being, and it is a major component in toddler-hood that bares immense consequences on how these soon-to-be-adults will experience their being in this world. As soon as those little ones comprehend that they are separate human beings, with their own wishes and preferences, which happens towards the age of two – they need to know that they are seen, that they matter. These first scents of independence are crucial to the way they will experience their abilities in the future, and the role they will play in this world. Will they dare to follow their dreams? Will the dare to try new things? Will they be attuned to their needs and feelings? Will they know that they are worthy in this world? Will they fear the world, or will they celebrate it? I know all these questions seem far away from that little one running around you right now, but this is exactly when answers to these questions begin forming, when we, human, start forming the beliefs we will lead our lives according to. When children reach the age of two, they start showing an important aspect of their survival instinct, an inner voice that screams to protect them from coercion, assists them in learning who they are, what suits them and what doesn’t, what’s right for them and what isn’t, what meets their needs, helps in their development and more. Counter-will. As challenging as this might be for us, the parents, understanding it’s mechanisms, when it pops up, why and what we can do to reduce our clashes with it, might just change everything in our homely environment. This is usually where many parents turn towards mainstream discipline, believing (or being told that) their children need to be taught rules, limits, and respect. However – there’s something that we’ve been missing for the past decades. Children, as well as all human beings, are programmed to resist control. The more we try to control them, the harder they will resist. “No” is a survival instinct. “No” saves lives. 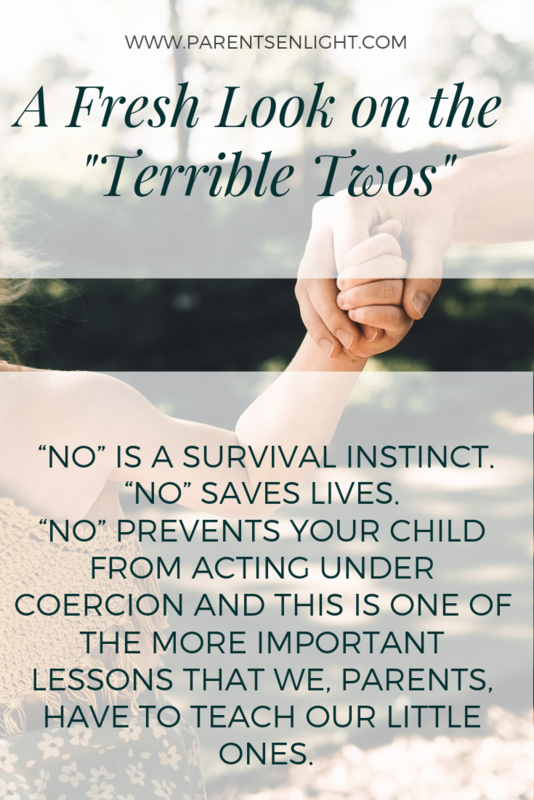 “No” prevents your child from acting under coercion and this is one of the more important lessons that we, parents, have to teach our little ones. ‘No’ prevents your child from walking away with a stranger, “no” will prevent your child from engaging in activities you, too, will prefer her to avoid. “No” will prevent your child from experiences, deeds, and sayings that will not suit her way of life and will not meet her needs. Learning to refuse is a MUST to survive and thrive in this world, and it starts at the age of two. When you feel that your little one’s “no” is directed against you, assure yourself that it isn’t. It is always for them – a strategy to get their needs met. Why am I bringing connection in here? Because naturally, we trust those who we are connected to, to not coerce us. Children whose relationship with their parents is a positive relationship, where they feel empowered, seen, heard, and celebrated for who they are – will not experience coercion in response to their parents requests. However, when “no” and commands are a large part of a child’s life, and a significant component of the communication leading her life, resistance and defiance can be expected. The presence of our child’s counter will in our daily lives is a great test to see exactly where our attachment stands. Are we attached or is our child experiencing coercion? First and foremost remember that you, too, have a strong counter will. And probably, on way too many occasions, it is your counter will conversing with your child’s counter will, a conversation that will usually lead nowhere. When that happens, take a step back to rethink your and your child’s needs, and find a new strategy, that everyone agrees with, to meet those needs. To prevent the rise of counter will with every subject we should speak a language of compassion, Nonviolent Communication, at all times; be as connected as we can be at every moment. Make eye contact, smile, and caress, make sure that needs at all levels are met, your’s and your child’s. Strive to set house rules on a positive note, stating what can be done, rather than what is forbidden. Try not to command, a request always sounds (and feels) much better. Accept that “no” is a valid answer. Make your request when you and your child are connected. If you aren’t at that moment, wait or make sure to connect. Know what you are requesting and why, and make sure your request is clear and specific. Couldn’t prevent your child’s frustration? This, too, is an opportunity to connect, when we handle the meltdown with compassion and empathy. Remember that when the attachment is strong, counter will is weak (and vice versa). So if you are looking for strategies to handle the terrible twos, and make this period wonderful, get to know the “no”, respect it and give it presence. You’ll see and hear much less of it if you do 🙂 Contact me for a parent coaching session for positive ideas and strategies. I’m always here for you.